When Traci Leigh Taylor's son, Daniel, came out to her at age 15, she was confused and worried about the kind of life he would have as a gay man. And she admits that, at that point, her son seemed like a stranger to her. Traci started a project of interviewing Daniel and his friends about their coming-out experiences. Daniel, who is now a Broadway performer, seems to have helped by introducing her to everybody he knows. One thing led to another, outreach became broader, and the book is national in scope, containing more than 50 interviews, unsent letters, and other meditations on being young and queer at the beginning of the 21st century. 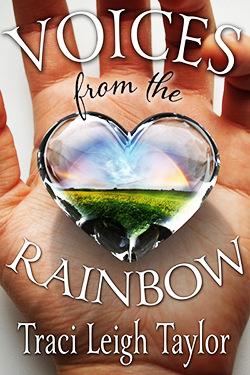 Traci promised people that their stories would heard, and Voices from the Rainbow makes good on the promise. Writing the book was a life-changing experience for Traci, with grown children and grandchildren, who up to that point hadn't had much reason to look outside of the heterocentric world where she grew up. She says she's more comfortable in the gay world than in the straight world now, and more understanding of the universal need for love and acceptance. 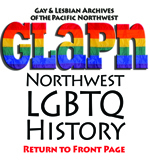 She's planning another collection of stories, this one involving the words of LGBTQ elders.